Citing various legal, judicial and constitutional objections, Chief Minister Capt Amarinder Singh on Wednesday wrote to the Chief Election Commissioner (CEC) seeking a review of the Election Commission order relieving IG Kunwar Vijay Pratap Singh as member of the SIT probing the Bagari firing incident. In his letter to CEC Sunil Arora, the CMsaid the SIT was carrying out a fair investigation, which was an ongoing statutory process under the Code of Criminal Procedure (CrPC) and was not affected by the model code of conduct. The EC order of April 5, transferring the IG out of the SIT, constituted as interference in the ongoing investigation as also an implied conflict with the findings of the judgment of the High Court dated January 25, which had rejected the allegations against the SIT’s composition and the manner of investigation. Asserting that there was nothing unusual about an investigating agency communicating with the media, the Chief Minister said, “Such briefings are now a matter of norm and practice in the interest of transparency and public awareness. Even investigating agencies such as the CBI issue press releases from time to time or upload details on their website,” he pointed out. The IG’s interview in question, when viewed in the right perspective, was clearly not in breach of the poll code. It was not politically motivated as he made no political comment, the Chief Minister wrote in his letter. “Rather, despite pointed political questions, Kuwar Vijay Pratap specifically declined from answering such questions,” he added. While the state had judiciously complied with the EC order, the same merited review, said the CM, giving details of the same. 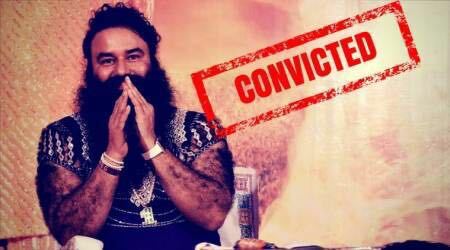 The entire tone and tenor of the complaint on which the EC had acted were the precise allegations made before the Punjab and Haryana High Court in writ petitions, seeking transfer of the investigation to the CBI, and had been duly rejected the court, which had reposed full faith in the present SIT.